Looking to add a modern touch to your home interior with minimal effort? Introducing the newest addition to our collection this beautiful Grey Belmont Crossly Dining Set. 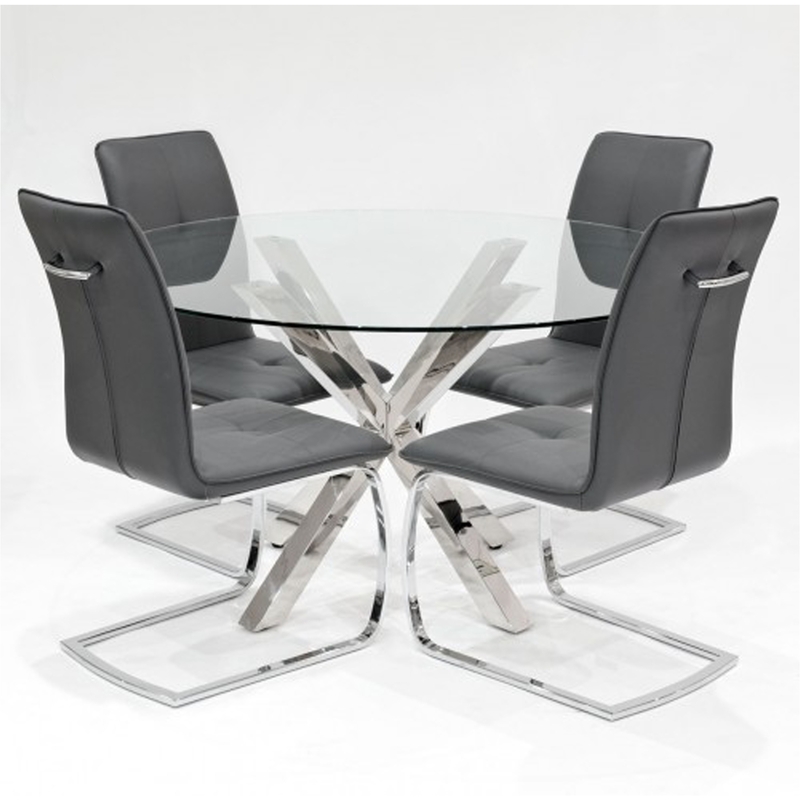 Complete with four grey Belmont dining chairs that feature a chrome base this set is topped off with a Crossly Clear round dining table which also features a chrome base.